Glenn joined the vineyard in June 1995 as a vineyard worker under the tutelage of Mark Haythornthwaite. 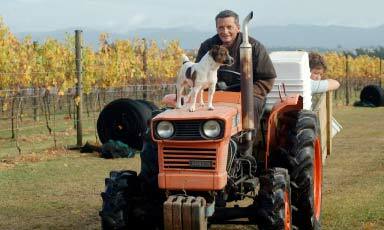 Over the years he has learned his craft and gained viticulture qualifications. He was appointed Vineyard Manager in 2009. Glenn’s knowledge of the vineyard has increased over the years and Mark and Susan rely heavily on his observations and awareness of the seasons. Glenn has spent the last few years improving the canopy management, so that the vineyard now produces excellent fruit for the winemaker to make high quality wines. This care and attention in the vineyard all year round has enabled the Haythornthwaite vineyard to gain many medals internationally and within New Zealand.